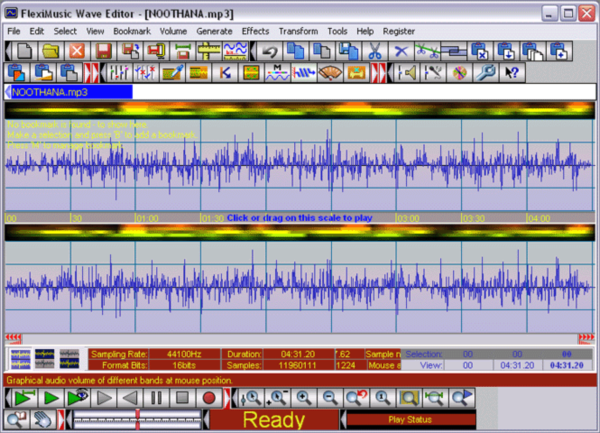 Compact audio editor for professionals, music lover's and home users to create, edit and add effects to audio. Editing functions: Cut, Copy, Paste, Adjust Volume, Insert File/Silence etc. Effects like Eq, Echo and Modulate.